Lokersurabaya.com - Lowongan Kerja di Meratus Line & Group Surabaya Jawa Timur Terbaru Juni 2016. Meratus Line & Group is an Indonesian shipping company providing point­to­point transportation solutions. Operating a network of liner services connecting major ports in Indonesia and supported by owned offices throughout Indonesia, Meratus places strong emphasis on safety, quality and customer focus. Established in 1957 Meratus' business has grown and now covers several sectors of shipping and transportation. Ship owning and operating. Operating container­liner services between the islands in Indonesia, including a direct service from Surabaya to Dili, East Timor with a fleet of 57 vessels and 40,000 box containers, Meratus offers an extensive and integrated shipping service­network consisting of currently 30 container liner services between Indonesia’s major ports. 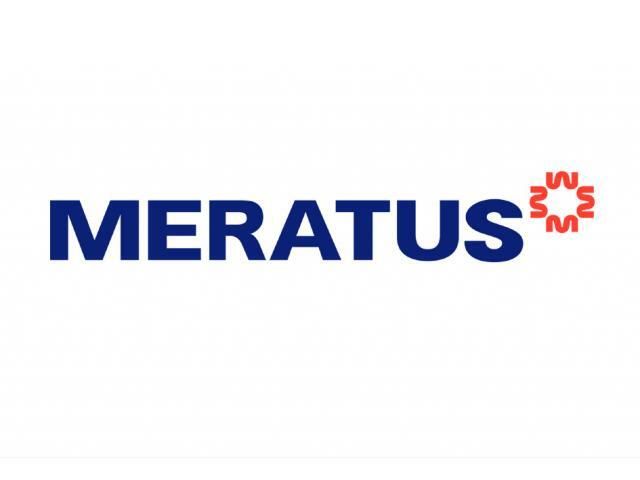 Meratus also owns and operates multipurpose vessels capable of carrying project cargo and construction cargo that require bigger lifting capacity as well as long unobstructed cargo hold. All of Meratus’ vessels are Indonesian flag and capable of extended trading area in South East Asia, suitable for shipping construction projects and project logistics within Indonesia as well as international trading between ASEAN countries. Another service available from Meratus is ship’s agency in outports of Indonesia. Logistics and freight forwarding. Covering domestic and international shipments, this service is provided by affiliated company : MIF. Coal transport and logistics. The dry bulk logistics, including transhipment operations of offshore floating crane together with tug and barge owning­and­operating business is run by an affiliated company, Meratus Advance Maritim (MDM). To Deliver transportation solution through cost leadership , reliability , and efficient internal process. To Provide the most network in Indonesia and create synergistic opportunities in global commerce Driven by highly qualified and motivated workforces. Harus siap bekerja dan ditugaskan sewaktu­waktu ikut dalam pekerjaan di Kapal, Siap berlayar. Juga bersedia bekerja diluar jam kerja normal atau bekerja pada hari libur Nasional dan mingguan. Demikian Lowongan Kerja di Meratus Line & Group Surabaya Jawa Timur Terbaru Juni 2016 semoga bermanfaat.